Recycling fish waste to fertilize plants is an ancient technique with roots in early South American and Asian civilizations. 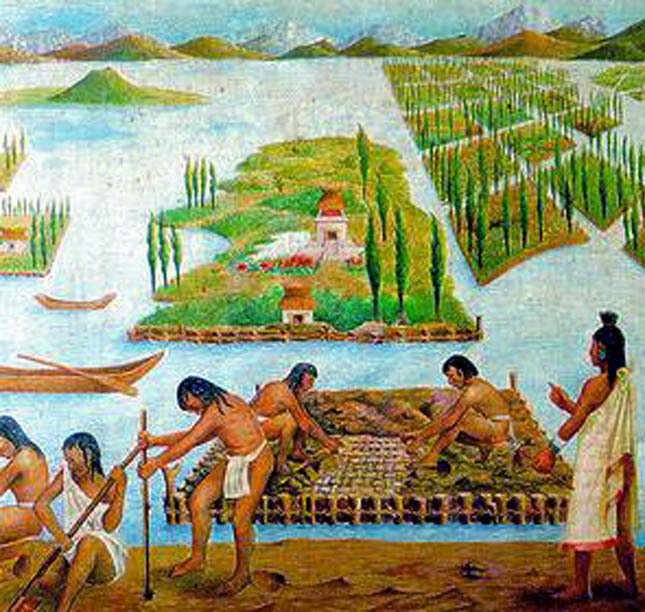 Aztecs who settled near the marshy shores of Lake Tenochtitlan, constructed large rafts out of reeds and rushes they found near the lake. They floated these rafts in the water and covered them with soil which they dredged up from the bottom of the shallow lake. 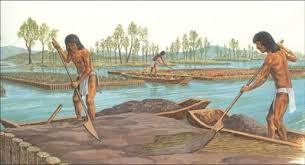 They then planted their vegetable crops on these floating islands that they called “chinampas”. When the plants matured, their roots grew through the soil and dangled in the water. The ancient Chinese utilized a system of aquaculture in which finfish, catfish, ducks and plants co-existed in a symbiotic relationship. The ducks were housed in cages over the finfish ponds with catfish living in a lower pond. The finfish processed the wastes from the ducks while in the lower pond, the catfish live on the wastes that have flowed from the finfish pond. The water from the catfish ponds were used to irrigate rice fields and vegetable crops. In the Western world, the origin of aquaponics is attributed to John Todd, Nancy Todd and William McLarney. In 1969, the constructed a prototype agricultural structure (Ark); a solar powered, self-sufficient bio-shelter with technology that facilitated the production of fish and vegetables for a family of four, while also providing shelter. Since then several others including Missouri farmers Tom and Paula Speraneo, Canadian researcher Dr Nick Savidov, James Racocy of the University of the Virgin Island, and Will Allen of Growing Power. have contributed greatly to the evolution of modern aquaponics.